Last week we offered you a list of things to do associated with the annual Rose Fest. This week, we would like to present some alternatives that can help you beat the crowds. We’ve come up with a few family-friendly – and some more adult-friendly – suggestions to make the weekend one to remember. 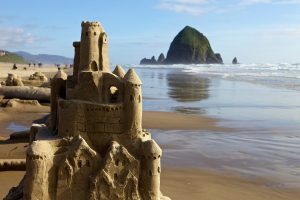 See dozens of elaborate creations on the Pacific coast at Cannon Beach’s 2016 Sandcastle Contest. Celebrating the 52nd anniversary of the annual event, castle-building begins tomorrow morning! 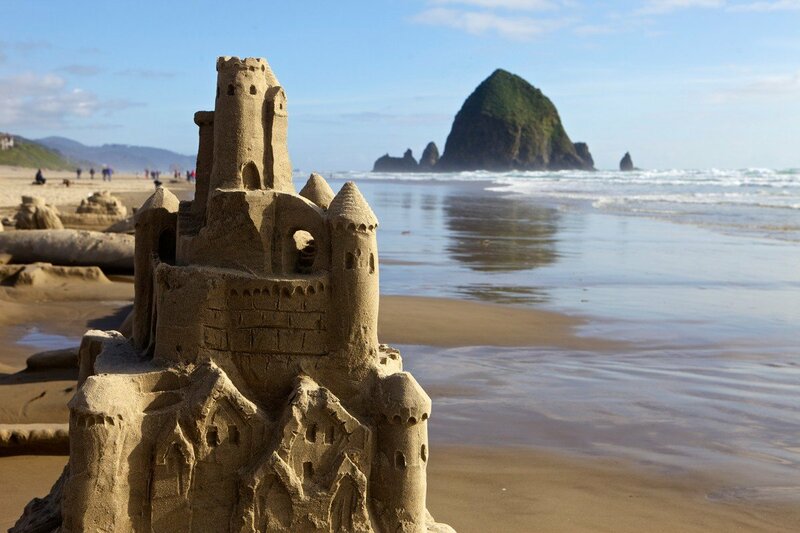 The event is one of the oldest sandcastle contests in the United States and is the most popular annual event in Cannon Beach. Dozens of teams participate with divisions for Masters, who compete for cash prizes, plus large group, small group and children’s divisions with winners receiving medals and ribbons. It’s not too soon to start thinking about the upcoming Summer Olympics in Rio. Portland Track Festival is a high-performance track-and-field meet for athletes preparing for the summer championship season. Portland Track’s mission is to bring together fans, athletes, and coaches to celebrate the sport and is committed to elevating track and field in Portland and across the US and North America. GeekCraft Expo is a curated craft market specializing in handmade, “geek”-themed crafts of all kinds: clothing, accessories, toys, home decoration, furniture, art…if it’s geeky and made by hand, it can be found at a GeekCraft Expo. It happens at the Doubletree Hilton this weekend. Many Portland bars and breweries will host dozens of beer-tasting and food-pairing events during Portland Beer Week. More than just a beer festival, Portland Beer Week is a celebration of craft beer culture and all its like-minded things: food pairings to beer ice cream, artwork and design, film and science. The 2nd annual Portland Vegan Beer & Food Festival will take place at Zidell Yards and will feature the best of the region’s craft beer, vegan eats, and live music. Also featured will be favorites from the LA Vegan Beer and Food Festival. 21+over. Celebrate the summer solstice with games, traditional dancing, Scandinavian crafts, food, a beer garden, and a Maypole raising at Portland Scandinavian Midsummer Festival at Oaks Park. We hope one of these events entices you! Have a fantastic weekend!